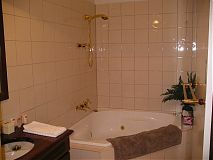 If you want peace and quiet this is the place for you with three private cottages to choose from. 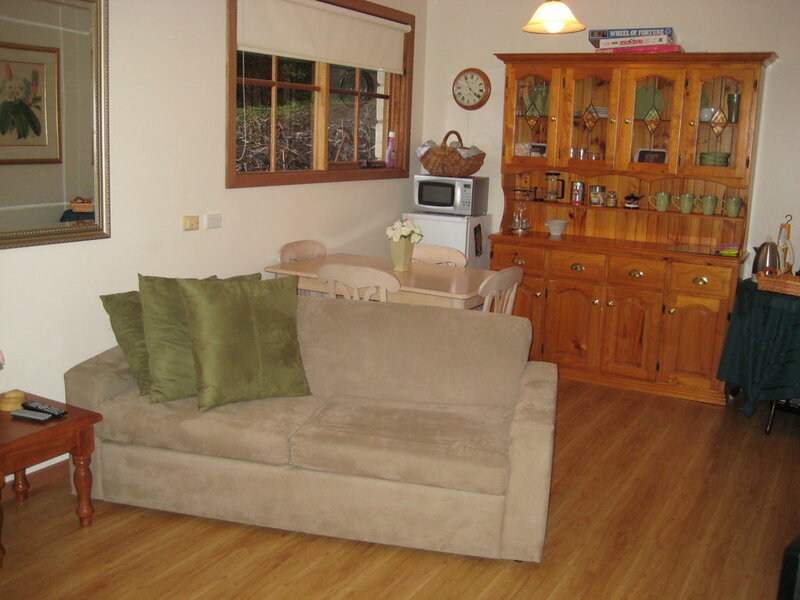 The Fern Cottage is a quaint small 1 bedroom with real wood fireplace, indoor corner spa bath. 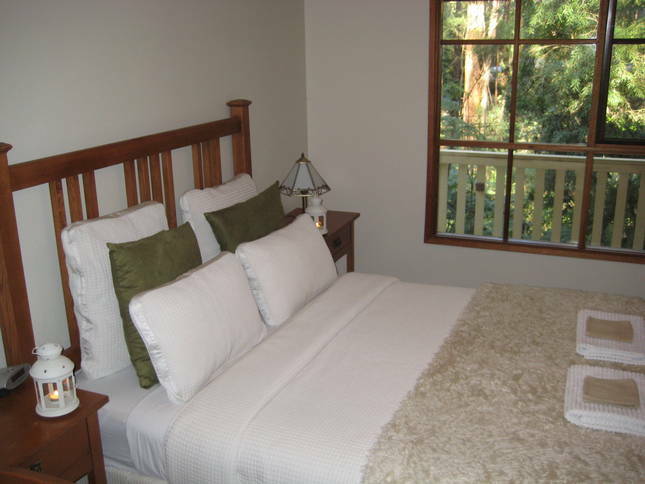 Providing absolute seclusion this is a perfect hideaway for couples however a cot and sofabed are available too. No kitchen, only tea/coffee facilities and crockery provided. 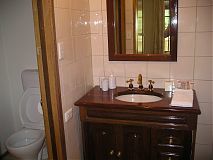 The Windmill Lodge has two queen bedrooms and open plan living area with a huge open fire kitchen and modern bathroom. 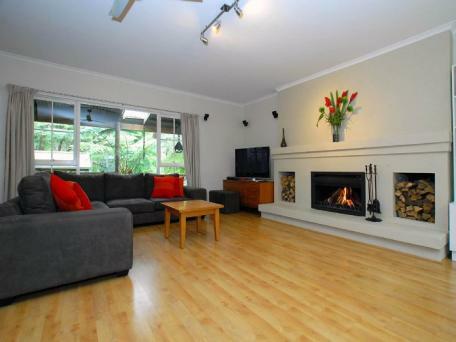 This lodge is great for families but also for couples too . 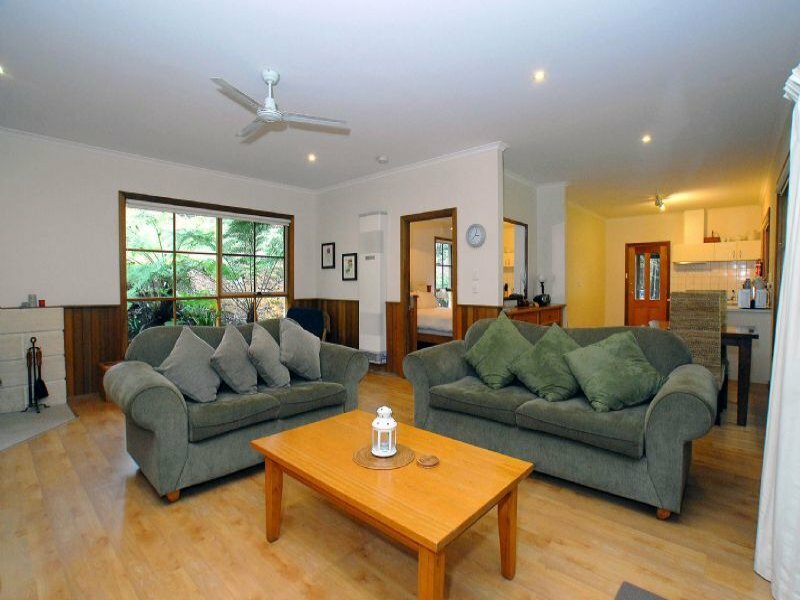 Large groups can be accommodated by combining the two lodges and then giving you four bedrooms, two kitchens and two bathrooms and sharing the luxurious outdoor Spa. 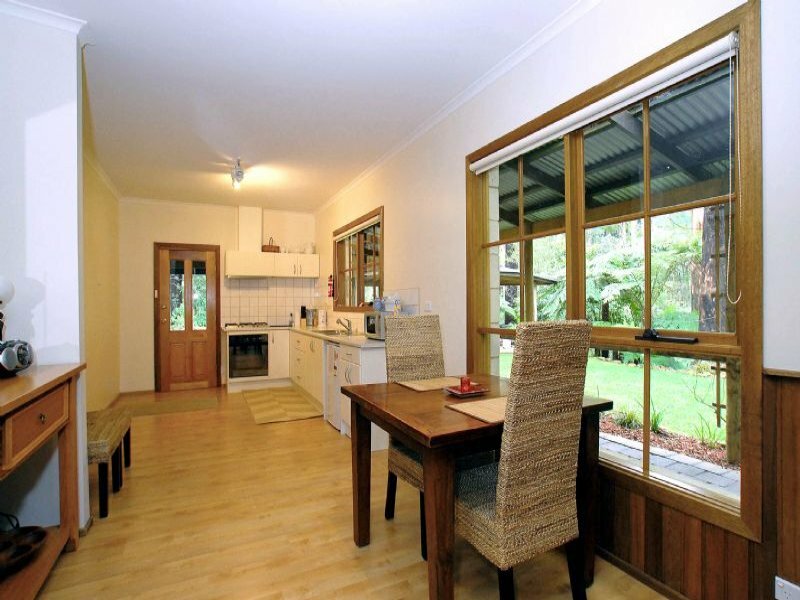 For over 100 years the Dandenong Ranges have been an idyllic retreat for people wanting to take the mountain air and escape the bustle of city life. Today visitors flock to the romantic hilltop villages for luxury hideaways, beautiful gardens, and magnificent tall forests and views. 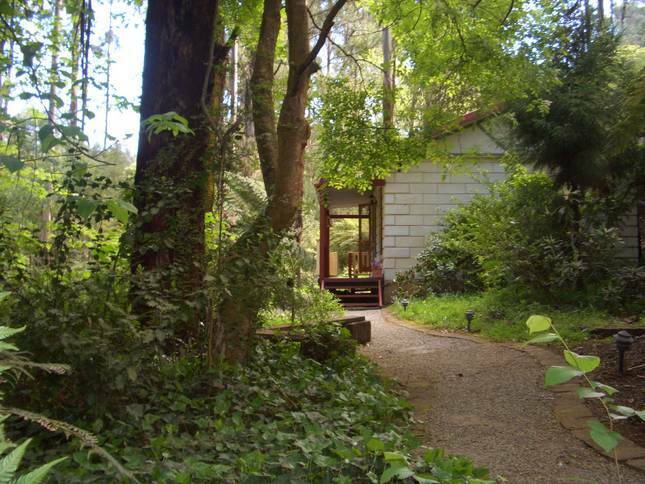 Visit Olinda and the National Rhododendron Gardens, home of 15,000 rhododendrons, 12,000 azaleas, 250,000 daffodils, native birds, and spectacular panoramic views of the Yarra Valley and distant ranges. Spend a relaxing afternoon browsing through the many art, antique and handicraft galleries and sampling a famous Dandenong Ranges Devonshire cream tea.Take a ride on Puffing Billy, Australia's oldest steam railway, through thick forests, fern-filled gullies and past gorgeous villages with poetic names like Belgrave, Gembrook and Emerald. 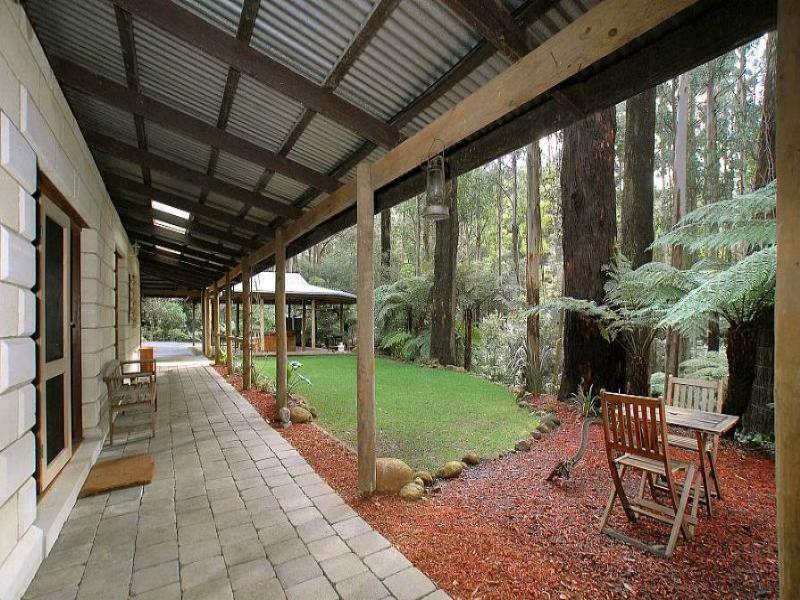 Home of spectacular tall forests, the Dandenong Ranges National Park is the perfect place to unwind and relax. 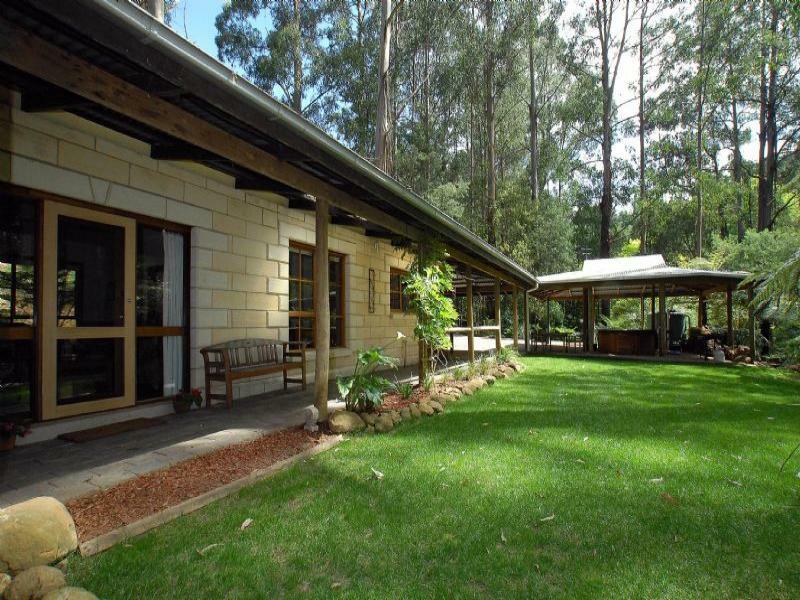 Over 300 kilometres of walking tracks meander through lush gullies and misty mountain ash forests to magical places such as Sherbrooke Forest, Dongalla Homestead and the Thousand Steps. Pull out sofa also available. 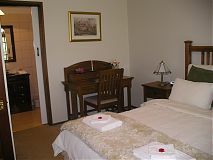 Bed linen is changed on a weekly or per stay basis. 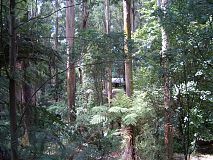 The Dandenong Ranges are under an hour from Melbourne. Take the Eastern Freeway to the Springvale Road exit, turn right on to Springvale Road and then left at Canterbury Road and follow to Montrose. Turn right at the Montrose roundabout and follow the Mt Dandenong Tourist Road to Olinda. 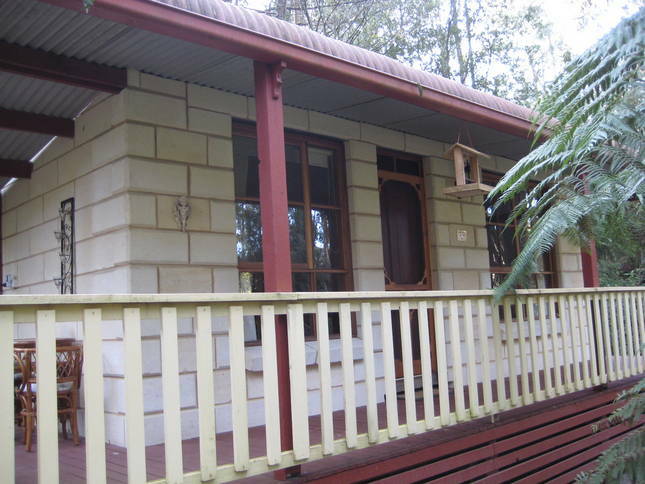 Secluded limestone cottages in seven acres of towering Mountain Ash forest. 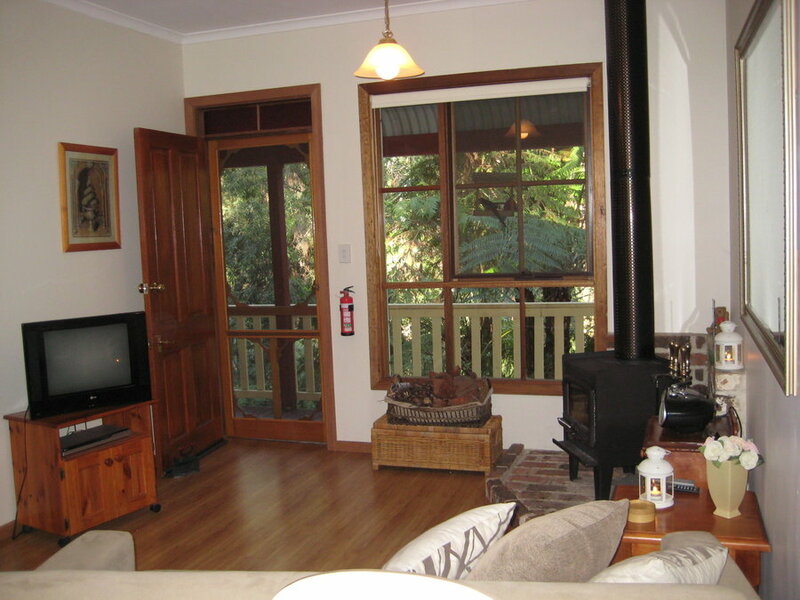 I have owned Fernglen Forest Retreat for 7 years, I live on the 7 acre property with my 8 year old son and 2 Burmese cats, We enjoy sharing the land with the local wildlife including wombats, deer, native parrots, wallabies. Working here and raising my son takes up a lot of my time, but I ensure I travel at least 2 times per year and Ivhe helps with the cost of this ;). There are many cafes and restaurants in the area which allow me to indulge the foodie is me. If you are heading to Australia please drop in and stay for a while. 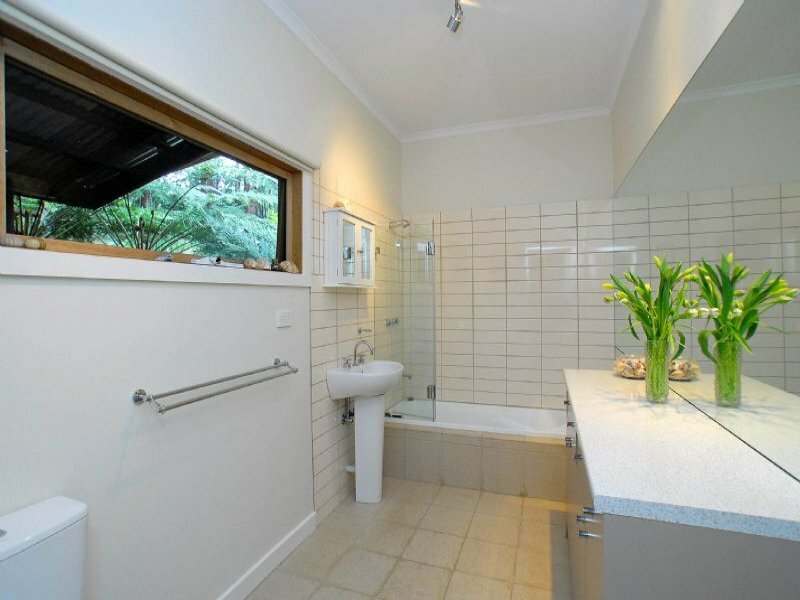 You, like us, will love the peace and quiet this property offers.